What a night! Thanks to the estimated 225 guests who attended this year’s Warren Miller Screening and helped raise a whopping $9,083 for survivors! 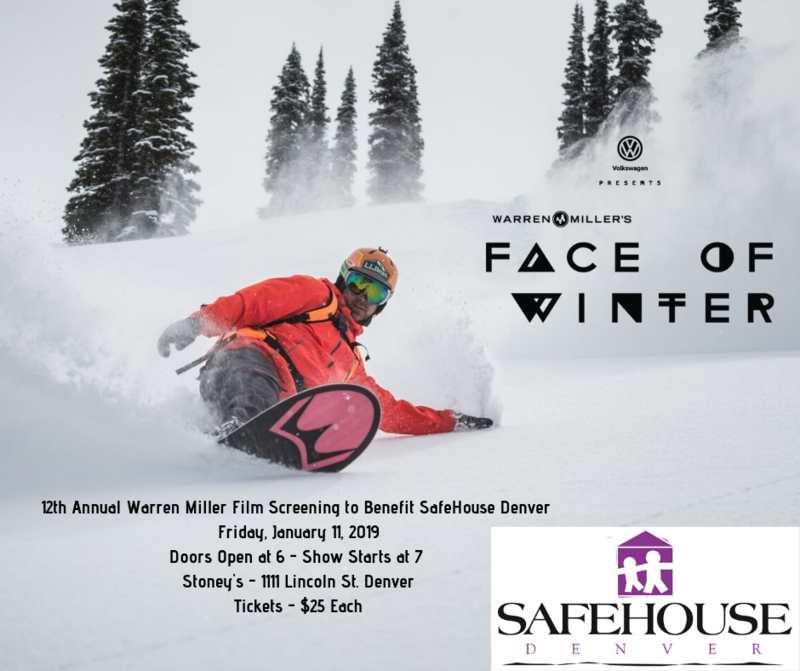 A HUGE thank you to longtime SafeHouse volunteers and event organizers, Chris and Brenda Volgenau, and our sponsors: Warren Miller Entertainment, Stoney's Bar and Grill, Oskar Blues Brewery, Apex Ski Boots, WinterWomen.com, and Outdoor Trail Maps LLC for making this fun and impactful event possible. Click here to view some highlights from evening.